Sunshine! How Much is Too Much? 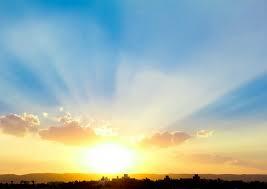 The sun is a glowing radiation factory, giving off three categories of ultraviolet light: UVC, UVB and UVA. In the case of the UVC radiation, it is of no consequence to the skin because it is absorbed by the ozone layer before reaching the earth. 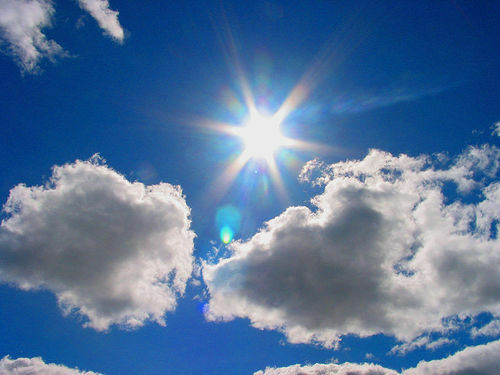 However, the other two forms of ultraviolet radiation DO affect humans, mainly in the skin. UVB rays are the ones that are responsible for the majority of our sunburns. To reduce the exposure to these rays, limit the time that you spend outside during the peak hours of ten a.m. and two p.m., especially in the summer months, and wear sun block with a high SPF rating when you cannot. UVA rays can be a major cause of skin damage, although it was previously thought of as only a minor problem. This radiation is more dangerous because it penetrates deeper and remains at a more constant level of intensity, rather than varying like UVB rays do. Neither UVA nor UVB rays are able to penetrate glass. The damage caused by both can include premature wrinkling, skin cancer, collagen breakdown, and a lowered immune system. It was once thought that tanning in a tanning bed was the safe alternative to sun exposure, but this is not the case. Even tanning beds can cause an unsafe build up of radiation in the skin and lead to the same skin issues as the sun does. If you insist on a tanned appearance, investigate sunless sprays, foams and lotions to protect your skin. Airbrush tanning is a safe alternative. Give us a call today to set up an appointment!